This lovely 1000 square foot garden view condo is just a short walk from Brennecke and Poipu Beach, and is close to a variety of great ocean and inland activities; all without feeling like you are in a crowd. Enjoy your meals on the private lanai that offers a tranquil retreat with singing birds and open greenery. For added enjoyment the condo also has cable TV, DVD player, large flat screen television, and a wireless internet connection, making it the perfect home away from home for your dream Hawaiian holiday! Suite Paradise has 100's of vacation rental properties to choose from across several of the best resorts in the Poipu Beach area of Kauai. Choose from five beautiful and luxurious beach resorts on Kauai’s spectacular South Shore – Poipu Kai Resorts: Kahala, Manualoha, Poipu Sands, Regency and Poipu Crater one of Kauai’s most prestigious beachfront resorts, Nihi Kai Villas, a comfortable and quiet beach resort, Poipu Crater, exotically nestled in a verdant and extinct volcano crater, Lawai Beach, luxurious oceanfront condos located on the best snorkeling spot on the island, and Poipu Kapili, a beautiful and peaceful resort located on five acres of meticulously landscaped oceanfront property and Pili Mai, nestled among a championship golf course, Pili Mai is set in an ideal location on the island of Kauai’s south shore in Poipu Beach. This is Kauai’s newest resort development of luxury condominiums. 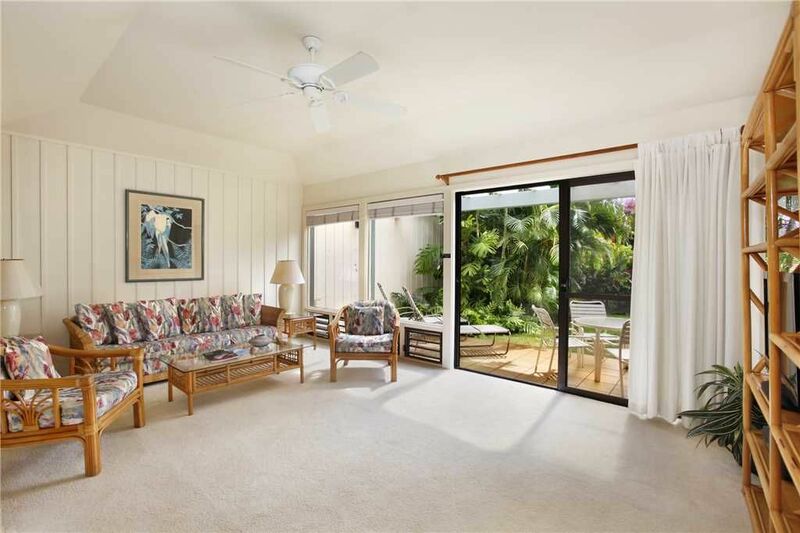 This central Poipu location offers ocean, golf course, and mountain views and is within walking distance to additional dining, shopping, and entertainment at Poipu Shopping Village and a short distance to world famous Poipu Beach. Experience Poipu Beach Athletic Club Our guests have exclusive access to a wide variety of club amenities including tennis, basketball, and pickleball. Enjoy a fitness class or an invigorating work out in our cardio and weight room followed by a refreshing swim in the resort style pool. View the Fitness Class Schedule. Poipu Beach Athletic Club hosts various Programs and Events throughout the year as well as weekly Fitness Classes that are also open to the public. THE CABANA Bar & Grill is located on site and is open to the public. Enjoy great food and daily Happy Hour from 4 pm – 6 pm. Me, my husband and son (11) stayed here and we absolutely loved it! It is a lovely 1 bedroom place with a sofa sleeper for our son. Everything was clean and nice. It was literally a 2 minute walk to the beach, which is where we spent a significant portion of our vacation. We would love to come back and stay again at this property, as we were very happy with it. Mahalo for your feedback regarding your stay in Manualoha 502, we are glad to hear you and your family enjoyed your vacation with Suite Paradise in Poipu and we hope to see you again soon. We enjoy coming to Kauai and stayed in Manualoha 502 for the first time. We would suggest that the owner do some upgrades. The couch is thread bare and should be thrown out. Carpets are stained and need to be replaced. Dishwasher very loud and noisy. Large flat screen should be in living room and small flat screen TV should be in the bedroom. No BBQ utensils in kitchen. Plates and mugs are ancient and look like they came from an old restaurant. I think you get the point. This suite needs an overhaul. Staff are very friendly. Also most units had good beach chairs, beach umbrella an a boogey board. This unit is very minimal and we would not pick it again. When staying for 2 weeks you need to have some half decent amenities. Hopefully this helps. beautifully decorated and easy to find things in kitchen. Perfect distance to beach, and private back patio.. great walking. loved the whole place and would come again! This condo is in a great location- right on the greenway of Poipu Kai, very close to Brennecke & Poipu Beaches. The listing info & pictures are accurate, and we found the unit clean, roomy, & well equipped. The lanai was very private & there was ample shaded parking. Both pools are a good size & just a short walk away. The Suite Paradise staff were friendly & helpful, and our late arrival went smoothly. The only negative was some noise from the plumbing and the unit above. We would recommend this unit to friends. Our guests have exclusive access to a wide variety of club amenities including tennis, basketball, and pickleball. Enjoy a fitness class or an invigorating work out in our cardio and weight room followed by a refreshing swim in the resort style pool. View the Fitness Class Schedule. Poipu Beach Athletic Club hosts various Programs and Events throughout the year as well as weekly Fitness Classes that are also open to the public. THE CABANA Bar & Grill is located on site and is open to the public. Enjoy great food and daily Happy Hour from 4 pm – 6 pm.